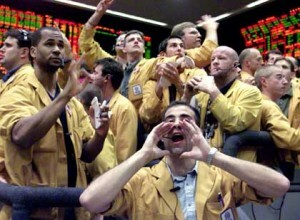 The massive commodities sell-off stumped everybody. Financial analysts are still looking for clues as to what caused it. Oil and silver were hardest hit, seemingly without reason. Has the bubble burst or was the market just clearing out the "froth"? The beginning of May saw a huge sell off in commodities, especially in silver and oil. That would normally be a story in itself but the real story is that nobody has the slightest idea why $99bn was wiped off of market value. Now that really is a story. So what happened? The oil price, after hitting a two-year high of $114.83 closed at $97.18 in 48 hours of trading. The price of silver went down by 30%, a massive plunge. Panic set in. Was this the end of the commodities boom? But above all, what was causing the commodities sell-off? Usually there is a good story to explain these anomalous events that somebody has invented over lunch but this time the plethora of possibilities and fables going around was quite remarkable. Can’t Wall Street spin a good line any more? First of all, is there any sense in lumping together all commodities as if they really had anything in common, I mean, do silver and oil really have anything in common, except the US dollar? Could that be the clue? The US dollar has been in decline for some time and its decline especially in the last year has corresponded with a rise in the price of commodities denominated in dollars – no coincidence. Last week the dollar saw a rise of 3%. Is there a connection? Could this be a turnaround in the dollar which is pulling investors out of commodities as they know that a recovering dollar will automatically mean falling commodity prices? Some observers have suggested that the sell off was just the market’s way of creaming off speculative investors (or froth), which seems a little flaky as an idea, it is unlikely that speculative investors will have all got together to move as a herd on the basis of nothing. They might have wanted to lock in profits but why at this time of year? What spooked them? And anyway, how do you identify a speculative investor, one who is only interested in price movements and not the underlying asset? Well that is just about everybody. Copper is seen as a good indicator of the health of the metals sector and the copper price started its downward journey in January of this year due to reduced demand from China. It may just have taken time for the others to catch up. There are those that see a connection with the upcoming economic meltdown (restructuring) in Greece but it is hard to spin a commodities story on the basis of Greece being forced out of the Euro. There have been some other suggestions as to why the sell-off happened and they are many and varied: bad news from the global economy, including US unemployment, possible rise in oil quotas for OPEC members; diminished risk in the Middle East; the upcoming termination of the second round of quantitative easing in the US or did somebody just sell off a personal haul of gold? Maybe all of the above and more but it was an awfully big sell off and none of these factors are weighty enough to trigger a slide like that. The most plausible is that BRIC and emerging market countries were pulling the purse strings tighter to combat inflation. They are not the faithful investment playgrounds that global investors were relying on. In these cases analysts start to talk about a “correction”, as if the market were a sentient being and this sell off were “necessary” for the health of the market. The market here looks like Dr Frankenstein’s monster careering around banging into things looking for something to make himself feel better. Almost immediately, commodity prices started to rebound, not back to where they were before the sell-off but showing significant climbs in the right direction. What does this mean, was the sell-off a mistake? Does Frankenstein’s monster now feel better and can he thump along in the right direction again? Nobody has a clue about this either. It was not a fat finger episode, there were no technical glitches so nobody is fully convinced that the stabilizing prices are a reason for rejoicing, commodities may just be preparing for another fall. Commodity prices were ripe for a correction but that is just a question of sentiment. It is difficult to evaluate and quantify. There is a commodities bubble and maybe it was just letting off a bit of air, maybe investors got a little scared a little too soon? Quite simply nobody has a clue on this one which is strangely heartening. But tighten your seat belt.